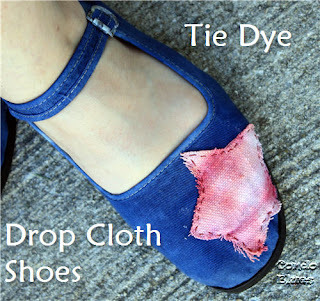 I'm no longer a Girl Scout camp tie dye failure thanks to the tie dye drop cloth shoe project I made for Tulip. I wear these shoes everywhere. 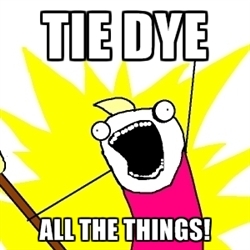 Researching and trying different types of tie-dye techniques besides the hippie dippy circle thingies that never came out for me (see Girl Scout camp tie dye failure and mean girl mocking) might have turned me into a wee bit of an addict. Or a meme maker. You pick. Now I'm scouring the interwebs for tie-dye techniques, project, and inspiration and put together a collection for you to enjoy or try on your own. Have fun!